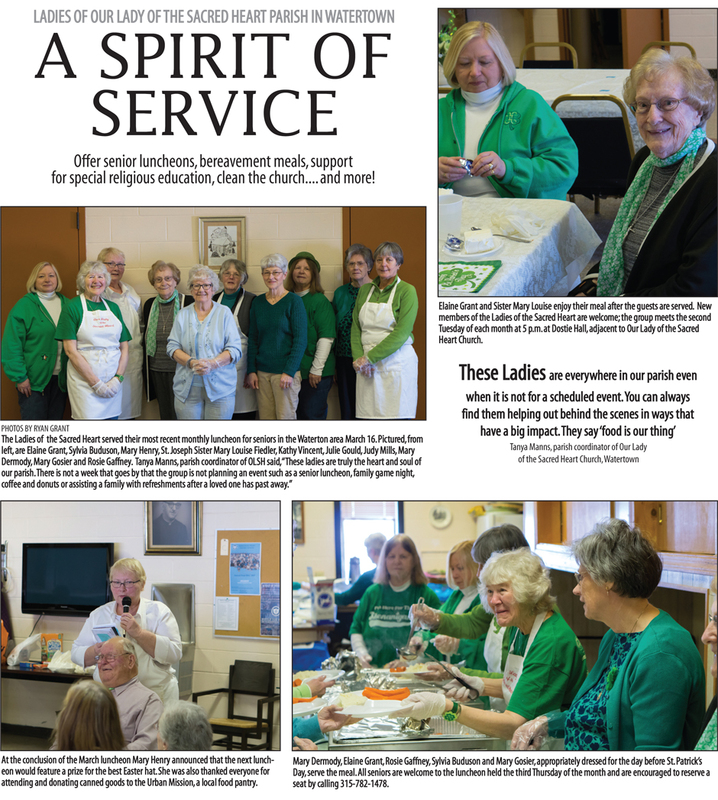 ﻿﻿﻿The Ladies of Our Lady of the Sacred Heart ﻿Church formed a group to help promote a sense of community and support in our Parish. Our guidelines are structured within the social, service, and spiritual nature of OLSH needs. 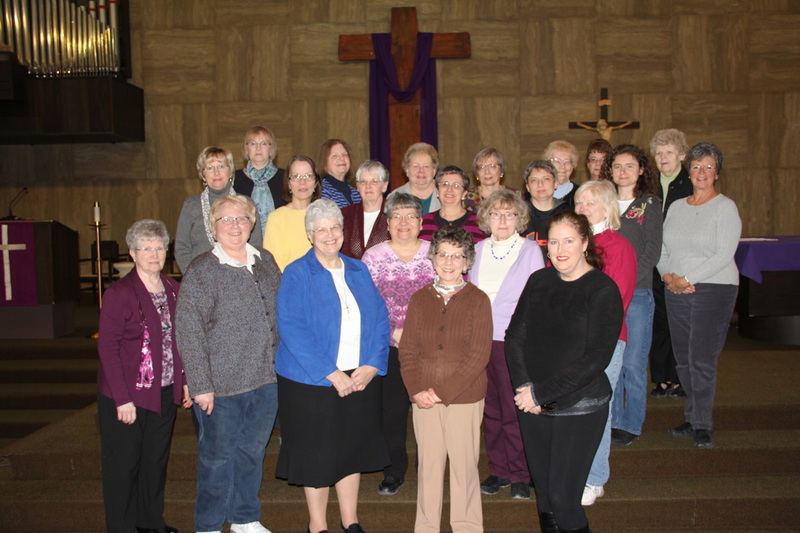 Our activities include monthly senior luncheons, participation in the Dollar Dinners, weekly cleaning of the Church, support with bereavement as requested, monthly coffee and donuts after Sunday Mass, and family night refreshments. We coordinate and host the Sisters of St. Joseph's annual jubilee and also volunteer with celebrations held for the Sisters of the Precious Blood. Our prayer chain, weekly visits to Summit and communion calls ﻿﻿support our outreach program. ﻿﻿Please join us at our monthly meetings on the 2nd Wednesday of each month from September through May. Our meetings start at 5:30 and we share an assortment of food and treats brought in by our members. We have participation of about 20 - 30 women. Upcoming events and current needs of the parish are discussed and an action plan is put into place. Our group is also represented on the Parish Council.